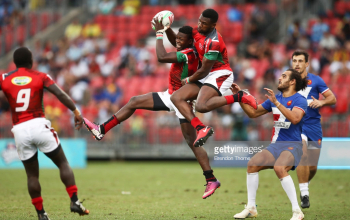 At the start point of the 2018/19 HSBC Sevens Series at Dubai and Cape Town in late November and early December 2018, Kenya missed out on key players for the opening legs of the ten-part series as some of the regular team names had just returned from helping the Kenya 15s side gun for a World Cup berth during a four-team repecharge in Marseille, France. For the two legs, head coach Paul Murunga tagged along with four newcomers Johnston Olindi, Brian Wahinya, Daniel Taabu and Charles Omondi to add on to the seasoned Dennis Ombachi, Leonard Mugaisi, Eric Ombasa, Eden Agero the skipper, Samuel Motari, Avin Otieno, Herman Humwa and Jeff Oluoch who featured in all ten legs last season. 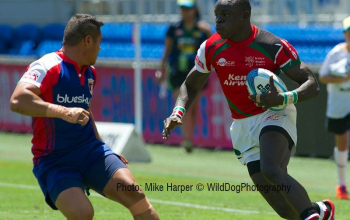 KCB’s Vincent Onyala joined the fray in Cape Town as a replacement for Oluoch. But later on, as the team hit the trail for the next two legs in Hamilton and Sydney, it emerged that Murunga would have to continue with a new look lot as it was reported the regulars would not agree terms with the management, and for that the coaches options to field regular names thinned out. KCB and Kenya 15s flyers Jacob Ojee would be recalled for the first time since 2015 to skipper the team to Oceania, with sweeper Michael Wanjala and the forgotten Bush Mwale back to fix the forward line after those that did duty in Cape Town; Motari and Omondi were ruled out due to injury with Humwa unavailable. Five other newcomers; Eliakim Kichoi of Mwamba, Mark Wandeto and Brian Wandera both of Homeboyz, William Reeve of Harlequins and Harold Anduvate of Menengai Oilers were on boarded for the Oceania trip. 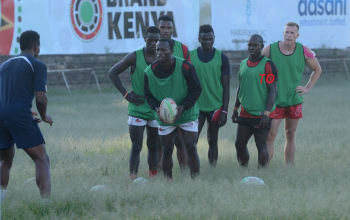 They joined the now tested Olindi, Taabu, Onyala, Wahinya and utility Cyprian Kuto who was first capped at the HSBC Sevens Series space back in 2012. After the first two legs, Kenya managed four points compared to 13 the previous season, and eight points in Hamilton and Sydney compared to the 25 picked last term. 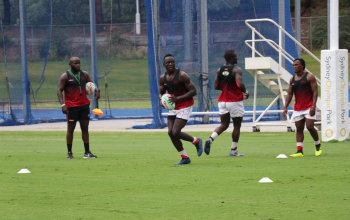 While reactions to the team based on performance have been sharp and unforgiving from keen followers, former Kenya 7s player, skipper and Coach Benjamin Ayimba shared his views on the most recent changes. “You see we picked out very good new talent from Taabu, Olindi and Onyala. Those three have been outstanding. And then Ojee has taken that leadership role so well and someone like Brian Wandera is looking good. Every time Ojee was in the team before he was overshadowed by the senior players but now he has a chance to show himself, this is his time. 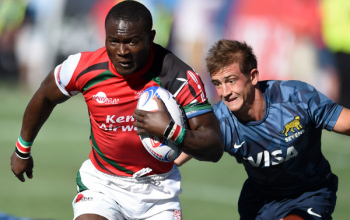 From statistics provided by World Rugby, Olindi has the most tackles, runs, breaks and points for Kenya. Onyala tops Olindi by one in tries while Taabu is best in conversions and is second best in runs. 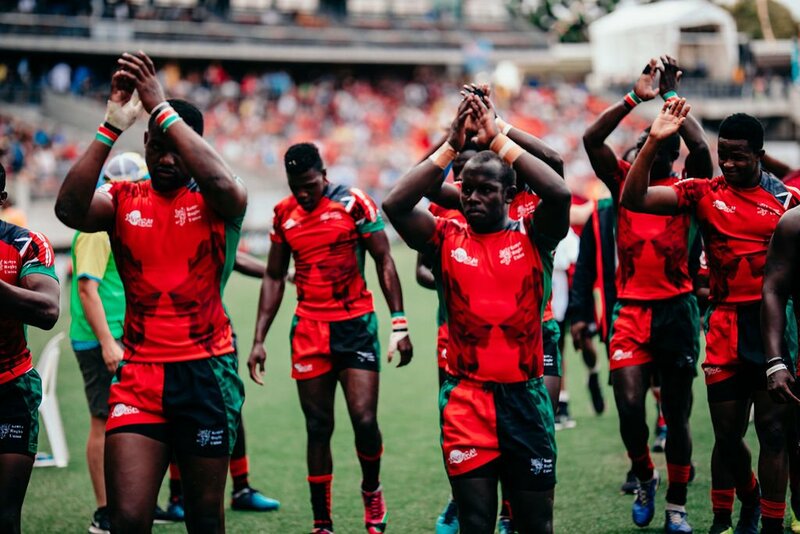 Injection of new players to the team excites Ayimba who coached the Kenya 7s between 2006 and 2011, and once again in 2016 helping the team win its first and only trophy at Singapore 7s. Four legs into the current season, the new look team has looked naïve in some areas and have obviously been caught out due to inexperience. From where Ayimba sits, he chooses not to worry as errors noted can always be fixed. His take on the new look team? The HSBC Sevens Series will roll on to America for the Las Vegas and Vancouver legs in the first two weekends of March, respectively.